“Our patients tell us all the time what a good service they receive and what great staff we have in cancer services. What this is about is the environment in which they receive it. The new building will be state of the art but will also feel far more homely. “As chair of the Trust for over five years now, I have personally been keen to see the old tower block building come down to make way for new, modern facilities. This is a fantastic way to start 2019. 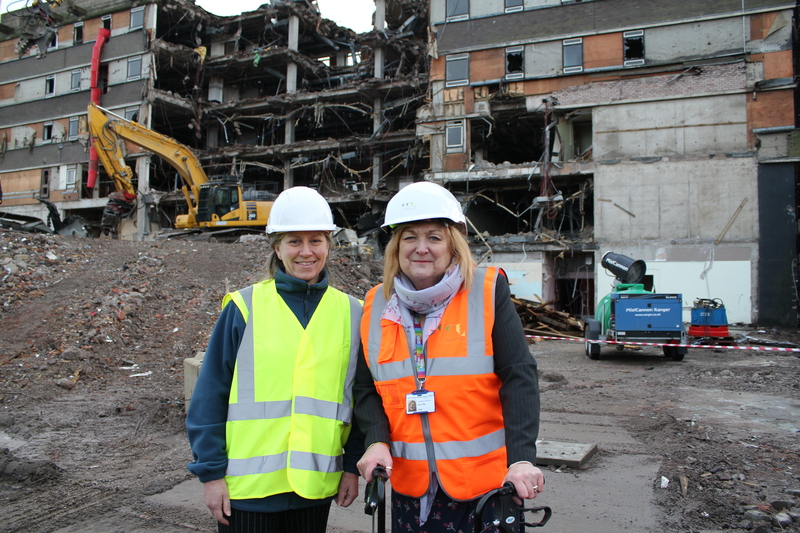 Pictured: Suzanne Stanley radiotherapy services manager and Gina Tiller, chair of North Cumbria University Hospitals NHS Trust in front of the building which is being demolished.